´TOS calls. They offer me two ship delivery trips, so I can choose. Excellent. The first trip is from Peru via the Panama Canal to Bristol, United Kingdom. The second delivery begins in Dubai and has as its final destination Sydney, Australia. 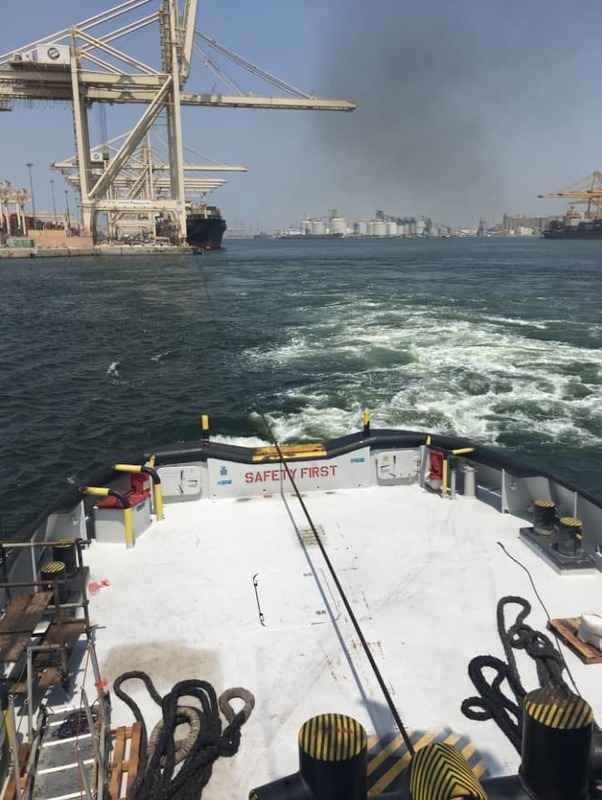 Even though I’ve never sailed the Panama Canal before, I choose for the trip Down Under.’ Captain Frans, Ship Delivery Captain at TOS shares his experiences. There is a story of a sailing ship long ago that needed to travel from Melbourne to Fremantle. For weeks, the ship wrestled with the strong winds before finally deciding to turn around. It set course to sail with the wind at its back. Passing Cape Horn, it travelled around the world Down Under to arrive in Fremantle. ‘We have a cook on board who often gets seasick. Which is no surprise on these ships. These ships like young puppies dancing and jumping around at every little body of water. Our trusty Indonesian cook does have to prepare food for a crew of eight in a galley that regularly tips 15 degrees on both sides. Imagine that in your own house, for days on end, trying to cut vegetables, preparing soup and meat, cooking and frying, baking bread, and all of that while feeling seasick. Once again, great admiration for our cook. If I was a cook, I think I would leave the sailing out of it. Although you must know that with this trip the cook earns as much as a year’s salary in Indonesia. Swaying to and fro, we approach Fremantle. We see different kinds of whales and there is a whole congregation of them in the bay just before the port. I counted at least 40 whales. The people in Fremantle explain that it is mating season. Once inside the port, we bunker and stock up on water. We also get new provisions for the last leg. And, then, we are off to Sydney, part three of the journey. We start off with good weather. ‘Today I get the request to, together with the Chief Engineer, remain in Sydney to show the new crew the ropes. TOS has already booked a hotel, because our trusty cook will leave directly upon arrival. The port of destination has also changed. We are now heading for Botany Bay instead of Sydney. It’s too bad, since I would have loved to sail through the port of Sydney with the Opera House and the Sydney Harbour Bridge as a skyline. Well, Botany Bay it is. We approach the Bass Strait. Mother Nature, once again, takes us for a ride. We go full throttle on the engines, because there is bad weather up ahead with a 5-metre swell. I just hope we make it to the Australian east coast in time. And we manage!